The mission of the SME Implementation Group (SMEIG) is to support the international adoption of the IFRS for Small and Medium-Sized Entities (IFRS for SMEs) and to monitor its implementation. The operations of the SMEIG are governed by the Terms of Reference and Operating Procedures for the SME Implementation Group issued by the IFRS Foundation Trustees. These terms of reference were last updated in February 2014. Guidance on IFRS for SMEs. The SMEIG develops non-mandatory guidance on implementing the IFRS for SMEs in the form of questions and answers (Q&As) which are made publicly available to interested parties on a timely basis. Issues addressed in Q&As are intended to be pervasive in nature and arise from a lack of clarity in the IFRS for SMEs. In some cases, the SMEIG may decide that mandatory guidance should be issued, in which case the increased involvement of the International Accounting Standards Board (IASB) is required and additional due process steps are followed. Recommendations for amendments. The SMEIG makes recommendations to the IASB on the need to amend the IFRS for SMEs as part of its periodic review, or in rare cases, in the form of an urgent amendment. Recommended amendments may arise from implementation issues that cannot be dealt with through the SMEIG Q&A process, or as a result of new and amended International Financial Reporting Standards (IFRSs) issued by the IASB. The SMEIG is chaired by IASB member Darrel Scott. The SMEIG has between 12 and 30 members, which are appointed by the IFRS Foundation Trustees. All members of the SMEIG serve on a voluntary basis. The SMEIG may from time to time also include appointed observers who have the right to participate in SMEIG deliberations, but not to vote. 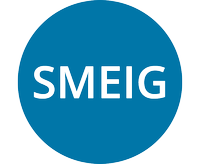 The SME Implementation Group (SMEIG) has issued Q&A guidance on financial guarantee contracts. The guidance aims to support entities during the implementation of the IFRS for SMEs Standard. The IFRS Foundation announces that 15 of the existing 26 members of the SME Implementation Group (SMEIG) have been reappointed. The SME Implementation Group (SMEIG) has published a draft question and answer (Q&A) on the IFRS for SMEs. The IFRS Foundation has announced the appointment of eleven new members to the SME Implementation Group. The appointments will begin on 1 July 2016. The IFRS Foundation Trustees are currently seeking nominations for membership of the SME Implementation Group (SMEIG), which supports the international adoption of the 'International Financial Reporting Standards for Small and Medium-sized Entities' (IFRS for SMEs) and monitors its implementation. The SME Implementation Group (SMEIG) has issued a final report that outlines its recommendations to the IASB on questions concerning Exposure Draft (ED) ‘Proposed amendments to the IFRS for SMEs’. The SME Implementation Group (SMEIG) has initiated a process to develop a report that will detail its recommendations on the IASB’s Exposure Draft (ED) ‘Proposed amendments to the IFRS for SMEs’. The report will consider feedback from respondents and individual SMEIG members. The IFRS Foundation Trustees have announced the appointment and reappointment of members of the Small and Medium-sized Entities Implementation Group (SMEIG), effective 1 July 2014. The SMEIG supports the international adoption of the 'International Financial Reporting Standards for Small and Medium-sized Entities' (IFRS for SMEs) and monitors its implementation. The IFRS Foundation Trustees have updated the Terms of Reference and Operating Procedures for the SME Implementation Group (SMEIG). The mission of the SME Implementation Group (SMEIG) is to support the international adoption of the 'IFRS for Small and Medium-Sized Entities' (IFRS for SMEs) and to monitor its implementation. The IFRS Foundation Trustees are currently seeking nominations for membership of the SME Implementation Group (SMEIG), which supports the international adoption of the 'International Financial Reporting Standards for Small and Medium-sized Entities' (IFRS for SMEs) and monitors its implementation. The call for nominations is being conducted in conjunction with a restructuring of the SMEIG as it prepares to consider feedback on the IASB's proposed amendments to the 'IFRS for SMEs'. The International Accounting Standards Board (IASB) today issued guidance to help micro-sized entities apply the IFRS for Small and Medium-sized Entities (IFRS for SMEs). The Guide accompanies, but is not part of, the IFRS for SMEs. The SME Implementation Group (SMEIG) met on 4-5 February 2013 to analyse possible amendments to IFRS for SMEs based off the responses to the June 2012 Request for Information ‘Comprehensive Review of the IFRS for SMEs’. A summary of the meeting is now available. The IFRS Foundation Education Initiative has updated the 32 published modules of its English-language training material on the IFRS for SMEs. The IFRS Foundation Trustees have announced that IASB member Darrel Scott will become the new Chairman of the SME Implementation Group (SMEIG). He will replace Paul Pacter, whose term at the IASB ended on 31 December 2012. The IASB has published agenda papers for the upcoming meeting of the SME Implementation Group (SMEIG), which is to be held on 4-5 February 2013. The papers contain a summary of the responses received to the IASB's 'Request for Information: Comprehensive Review of the IFRS for SMEs' which was issued in June 2012, together with an analysis of those issues and the recommendations on how to progress proposed changes to the IFRS for SMEs. The IASB has announced that the first meeting of the SME Implementation Group (SMEIG) will take place on 4 and 5 February 2013. In a move to reduce the financial reporting burden for micro entities, the South African Institute of Chartered Accountants (SAICA) has developed guidance for applying the International Financial Reporting Standard for Small and Medium-sized Entities (IFRS for SMEs) to micro entities. The International Accounting Standards Board (IASB) staff, along with the SME Implementation Group, will be working together to develop guidance suitable for micro-sized entities that are applying the IFRS for SMEs. Members of the SME Implementation Group (SMEIG) have been reappointed by the Trustees of the IFRS Foundation for an additional two-year term ending 30 June 2014. The IASB, in cooperation with the SME Implementation Group (SMEIG), has developed and issued a Request for Information seeking comments on specific sections of the 'IFRS for SMEs', as well as soliciting general feedback from respondents on their experiences with it. Respondents are encouraged to discuss potential amendments they'd like to see made to the 'IFRS for SMEs', and raise any other issues they'd like to put forward. The document does not contain any preliminary views of the IASB or the SMEIG. Responses are due by 30 November 2012. The IASB has posted to its website Spanish translations of the four final questions and answers (Q&As) on the IFRS for SMEs published by the IASB's SME Implementation Group (SMEIG) in 2012. The IASB has posted to its website Spanish translations of the three final questions and answers (Q&As) on the IFRS for SMEs published by the IASB's SME Implementation Group (SMEIG) in 2011. The IASB's SME Implementation Group (SMEIG) has published two final questions and answers (Q&As) on the IFRS for SMEs. Q&As are non-mandatory guidance. Deloitte's IFRS Global Office has submitted a letter of comment to the SME Implementation Group regarding Draft Q&A Section 11, Issue 1: Fallback to IFRS 9 Financial Instruments and Draft Q&A Section 30, Issue 1: Recycling of cumulative exchange differences on disposal of a subsidiary.